Vanilla v4 – 2 Weeks to go ! Before turning the 2011 chapter, just a quick post to remind about Vanilla v4 official launch, Friday 13th January … 14 days from now ! This is a very special moment for us, as we can see all the piece of the puzzle merging to make a so crazy & beautifull new version. Turning to a New Year, we can see all the work our development & integration teams did over the last 8 months … and this is just the beginning, thanks to the new adopters – customers and System Integrator – from all around the world (Internet is a crazy development media to accelerate software adoption). 2012 will be an easy year for the Vanilla project, we will take time to imagine some of the next killing features a up-to-date Bi platforrm should provide while providing Vanilla v4 support at affordable price for customers, editors and integrators. We dont look behind … its too far … and we have no time to waste, because our ambition for Vanilla are high ! There no place – no software – like Vanilla Place ! Available in version 4, as a new perspective for Enterprise Services, Vanilla Place will make package deployment as easy to use as a 4 steps wizard can be ! 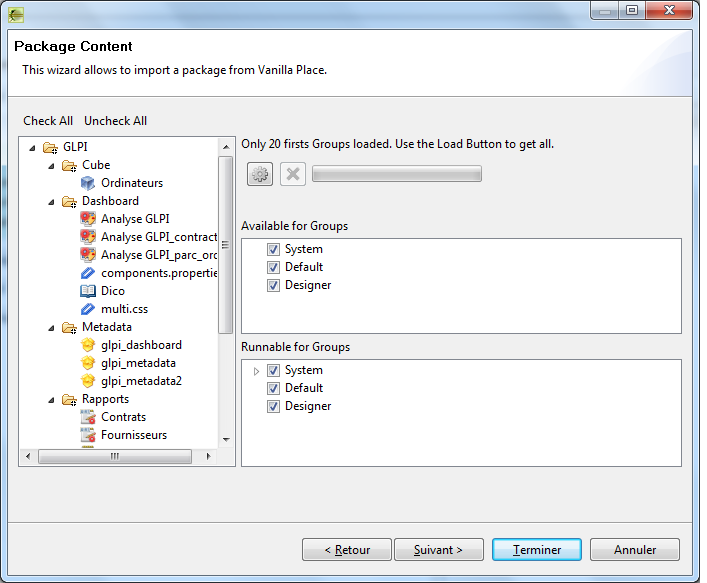 Vanilla Place leverage Vanilla package technology, which stand as deployable files that contain Vanilla document such as Metadata, Report, Dashboard, Cubes and any other related files (image, pdf, dictionary …). 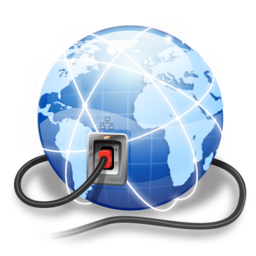 Vanilla package are used to deploy a development between 2 servers, with the guaranty that internal reference (such as database connection or Ip server references) are translated during the deployment process. 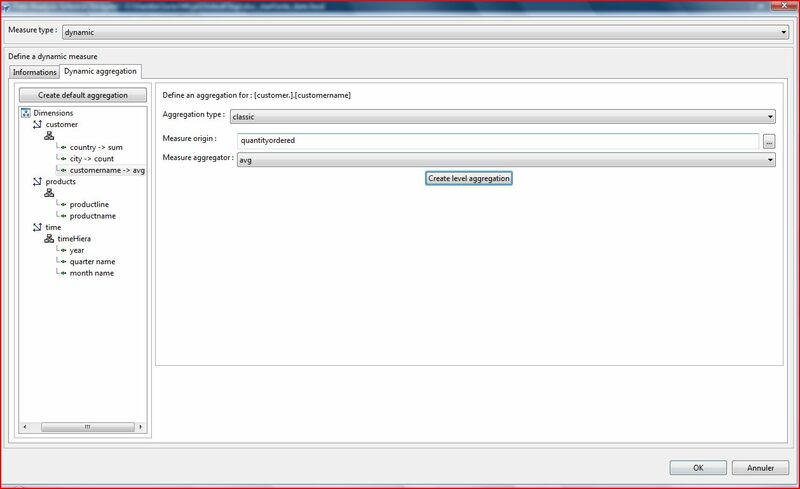 Import/Export of packages is already available in Enterprise Services and also in Hypervision (with Drag & Drop interface). 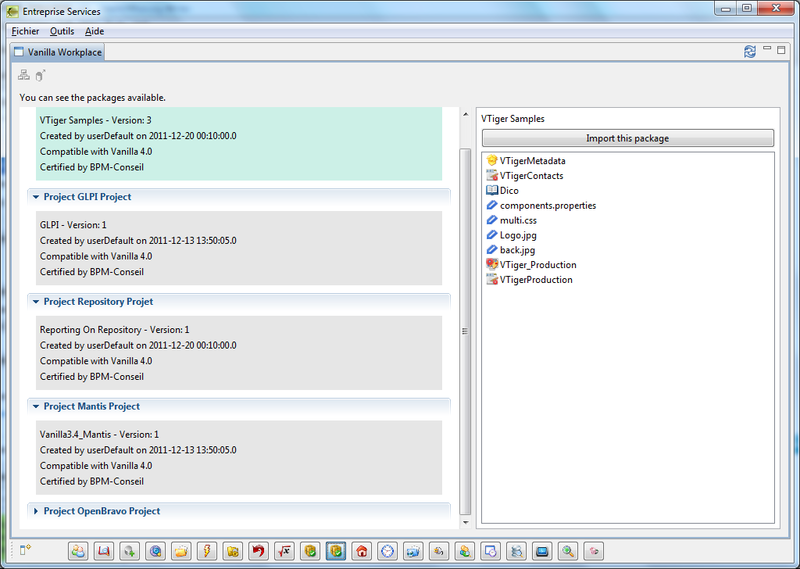 As we believe packaging is a key feature to deploy standard Bi development (in the cloud, but also in distributed environment), we already provide to community – as part of Vanilla Apps – a set of packages build on standard Open Source application such as OpenBravo, Mantis, VTiger, Sit, Glpi … but deployment process was not smooth enough for new adopters or people who “just want to see”. Using Vanilla Place, you have a simple interface where you can choose your package, indicate where your database is located, select the objects you want to deploy … validated … its done ! The only component you need is a Vanilla server running on your network … but even for this, we have made it easy for you, as you can run our Vanilla Virtual Box Server or subscribe on Amazon for a Vanilla instance. 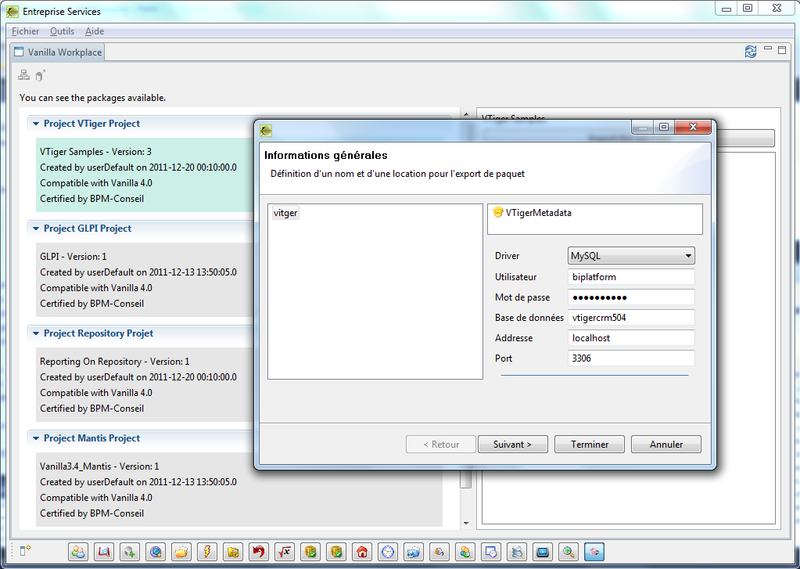 I have already posted some words about UnitedOlap, our new Olap Engine, that will be delivered with Vanilla version 4. UnitedOlap is a serious project, that started 1 year ago, and we will provide designers, admin & developers with all the features they need to manage a real Olap project. 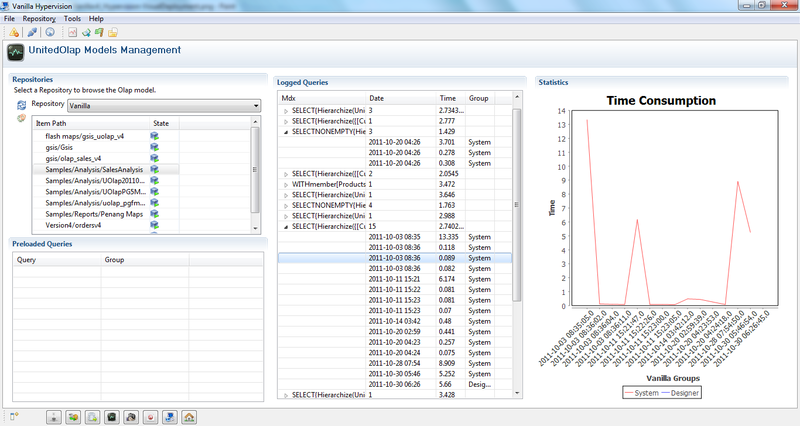 Most important with UnitedOlap is we provide a bug free interface when it comes with complex calculation. I wont waste my time talking about bugs in old Open Source olap driver … they never fixed it (last calculation, “all” display not coherent with visual datagrid …). Vanilla UnitedOlap support multiple column join strategy for Snowflake schema, as opposed to other old engine that has limitation to 1 column only … this allow UnitedOlap to connect to production database, not only to datamart. When it comes to keep promises … just put aside marketing noise … real platform dont need that kind of noise ! Just a quick post to announce Vanilla v4 rc2 is available now for download – on time – like the last release candidate before the public availability for version 4, january 13th. Version 4 is a long project, and now that we are about to close it, we have sometimes strange feeling, not about the release itself, but like a team that close a chapter and has to re-open a new one soon. Version4 project was smoother was Version3, for various internal reasons … as a team, we jumped to next level of organisation & methods … its starting to pay back now. Release candidate 2 is more a bug fix, without new module (VanillaPlace is still in beta mode, but will be available on time this year), as a result of the various tests we ran – internal, community and during the training session. You can access Vanilla download center on Bpm-Conseil Web site, as Bpm-Conseil is the company that develop and support the Vanilla platform. Still 4 weeks to go before going live with official Version4 … future is bright for Vanilla !